Fall has a different meaning for football fans in Ohio. While others look forward to the changing colors, falling leaves, chilly nights, apple-picking, pumpkin patches and hayrides, football fans are firing up their grills, putting a new coat of paint on that trailer and getting prepped to tailgate for their teams. A long and rich history of football in Ohio has made the game more than just a sport to fans at all levels, from youth leagues to the pros. It’s a deeply-rooted tradition that spans generations thanks to legends like Paul Brown, Jim Brown, Woody Hayes, Archie Griffin and so many more. This tradition of excellence and a widespread passion for the game is a reason Canton, Ohio, is home of the Pro Football Hall of Fame. Football is a way of life in Ohio, especially for Buckeyes, Bengals and Browns fans. For Adam Alfonso, a Cincinnati Bengals and Ohio State Buckeyes fan, tailgating is a full-weekend activity for his family throughout the fall. You don’t want to drop the ball… so check out this advice from veteran tailgaters Adam and Tadas to make your tailgate a great success! Buckeyes – Lane Avenue west of High Street becomes the center of Columbus on Ohio State Football game days. Browns – City of Cleveland Municipal Parking Lot, or the Muni Lot, is where you’ll find the biggest and baddest tailgates before Browns games. Bengals – Just south of Paul Brown Stadium in Lot E is where you’ll find extravagant tailgates like the aforementioned Bengal Trailer. Get inventive. Space is limited and cleanup is tedious enough. Maximize your utility by repurposing items. 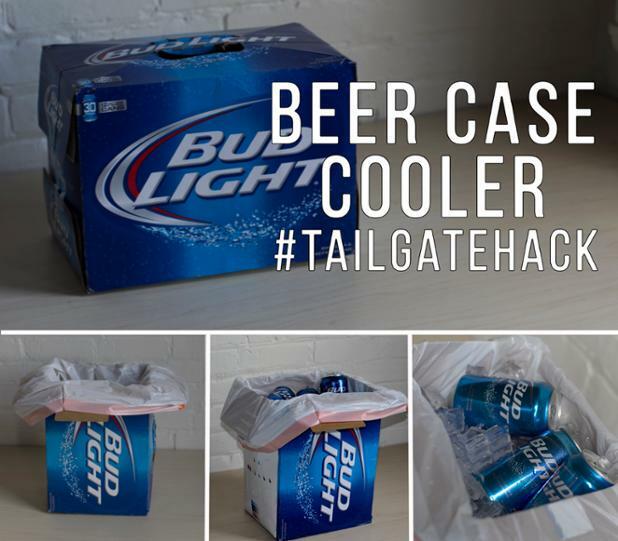 For example, line an empty case of beer with a bag, add the drinks back in and cover with ice to turn your beer case into a fully-functional cooler. 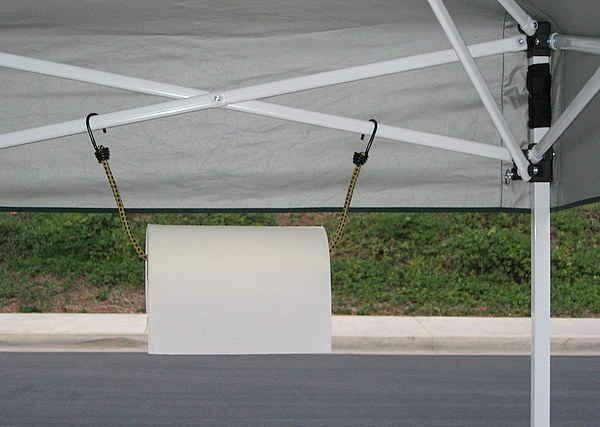 Turn the bungee cord from your tent or tarp into a paper towel dispenser by looping it through the roll and hanging the hooks on something. Bring the tunes. Curate a playlist that will pump up your tailgate with artists from, or singing about, your team’s city or school. The Bengals Growl, Cleveland Rocks and Hang on Sloopy are must-haves depending on your squad. Give it a name. Whether you’ve got an RV, car, trailer or truck, make your tailgate personal by giving it a unique name. Create social media accounts for your group, like the Bengal Trailer and Browns Bunch, and your tailgate will grow in both size and fun. Combine forces. If you’ve got a designated tailgating spot, this is especially important. You’ll be spending a lot of time with your neighbors, so it’s best if you get to know them. You’ve already got a lot in common, so offer to share some food, throw around the pigskin and make new friends to maximize the fun.